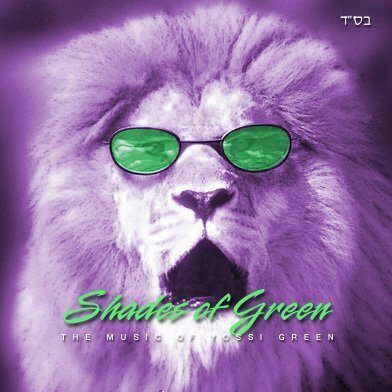 Yossi Green is at it again with Shades of Green II! The album will probably not be out till after the summer as he just started on it now. Thanks to Twitter this is what we know so far. This past Monday, (April 12), was the first production day of Shades of Green II, a project with 14 tracks consisting of 27 songs, B”H. Of these, 13 of the tracks are Double-Tracks (two songs each) and one is a single. Monday, rhythm was recorded for 10 of the double tracks. Of the remaining 3 double tracks and one single track, 2 are being produced through programming and one is A Capella. The lone single track is an English lyrics song called “Always On Call” being produced in the avant-garde (click here for a definition of the word) style found on “The 8th Note” CD. Thursday, the brass and wind instruments were recorded while the guitar overdubs began simultaneously and earnestly in Israel. Strings are to be recorded on the coming Wednesday, IY”H. Then begins the serious vocal recording work. We’ll keep you posted as we know more or you can always follow Yossi Green on Twitter here. This is just an image (not the actual cover). Is it new or old songs? The first shades of green were all older songs? No? Ok, you got me i am not really a Yossi Green fan. I only heard the CD once or twice. If you follow @yossigreen on twitter you get all this great info! !